This is not just the most beautiful place in the world but cleanest and safest too. 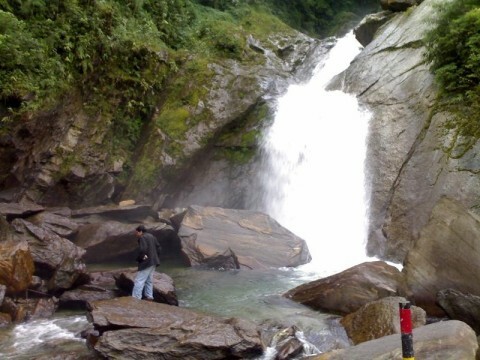 Misty skies, mountains and colourful butterflies, coupled with unique culture and natural landscape, Sikkim is a picture of perfection and pristine purity. 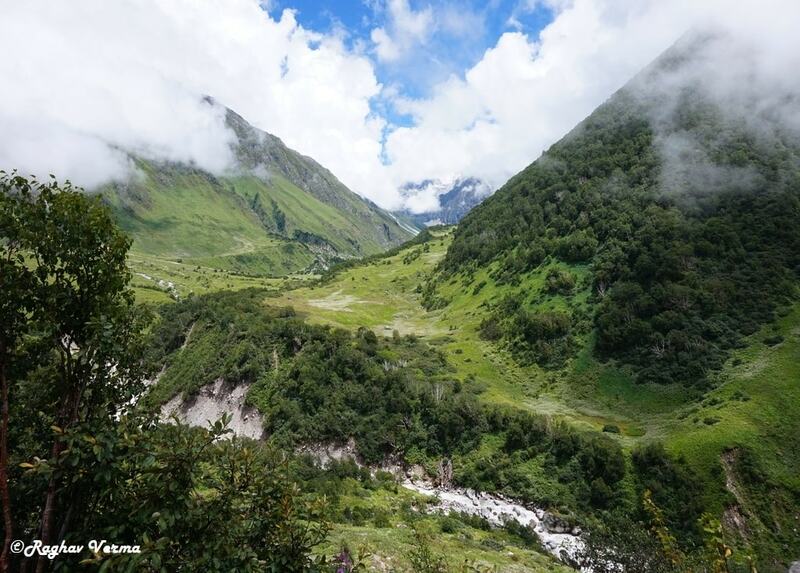 Nestled in the Himalayas and endowed with exceptional natural beauty, Sikkim is a hotspot of biodiversity and development. 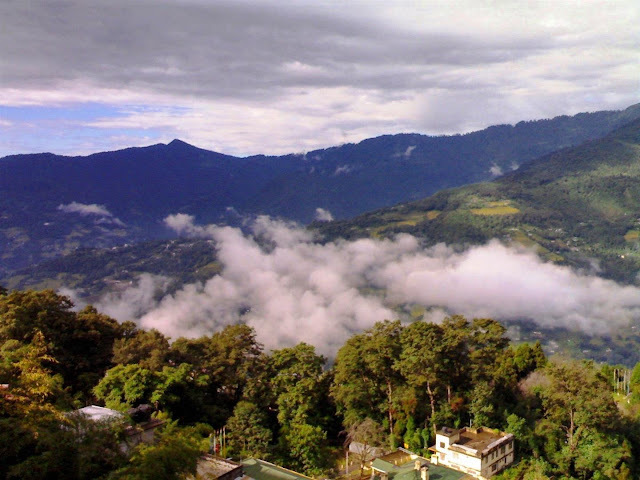 Though small in size, yet Sikkim has been identified world over as an important repository of germplasms of unknown dimensions. Perhaps, there is no part of the world, which offers more spectacular panorama with every turn of the road as Sikkim. With a thrilling and ecstatic mood we started from kolkata in one fine october night (Buses ply regularly from Esplanade). 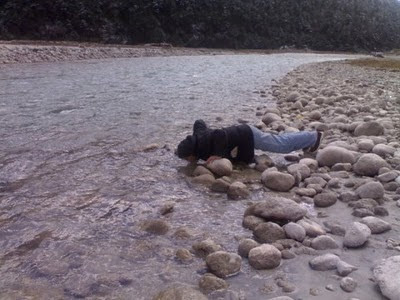 It took 13 hours of bus journey to reach Silliguri at around 3 PM next day. 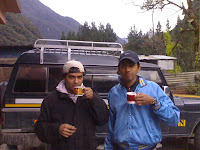 Tea estates and light rains welcomed us, aura was simply overwhelming and we were smelling TEA in the atmosphere. We hired a cab for Gangtok, which took 4.5 hours coupled with some great experiences of our lives. It was 8 in night when we reached our hotel, by the time Gangtok was chilling and we were with our spirits only to counter the cold coz we were without WARM CLOTHES. After dinner we were soon venturing out on the streets of gangtok and were restrained only by unwelcomed rains. It rains without notice in Sikkim. We finally went to sleep with a dream of surrounding Himalayas and an impatient soul restlessly waiting the night to pass. DAY 2: What a morning that was, clouds under our feet!!! The panoramic snow covered Kanchenjunga was calling us. 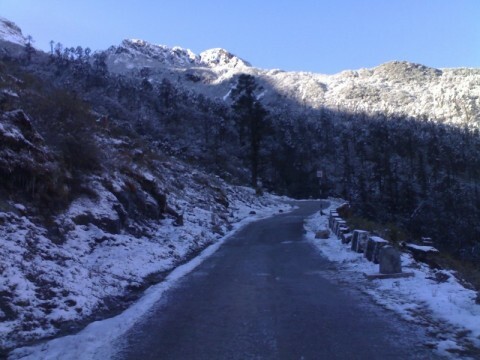 With adrenaline rushing in our veins, we started our march towards Yumthang Valley. 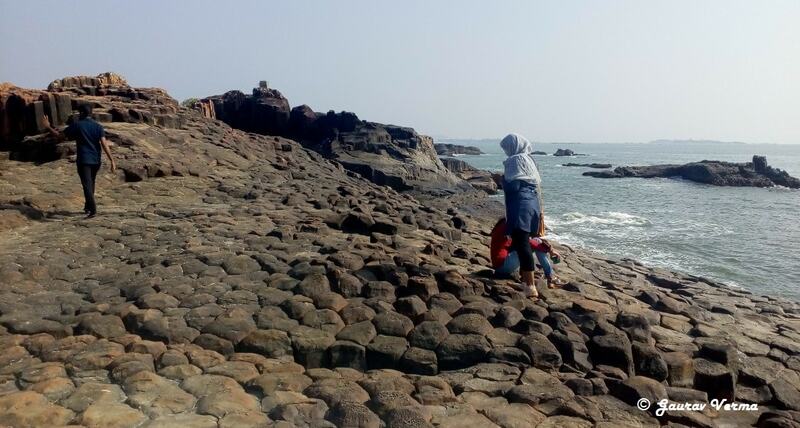 Vinu was honing his photographic skills, nature was unfolding with each passing mile. 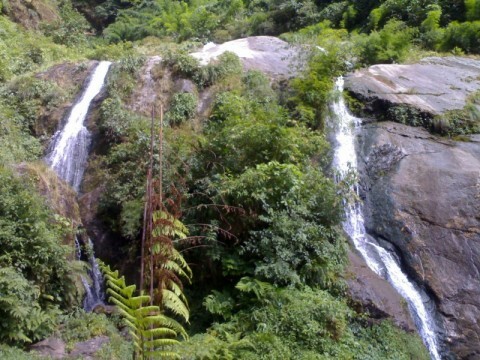 Waterfalls, Landscapes, Vegetation were simply breathtaking and we were relishing the pristine beauty of the land. We were going up and the temperatures were coming down.Without enough winter gear, we never got a chance to feel cold. 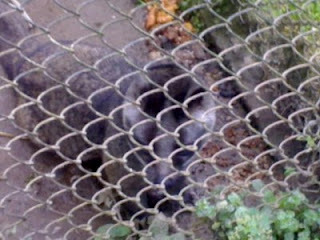 Why so....? It was very hard to miss out such extravaganza of nature, we never got the time to feel the cold. 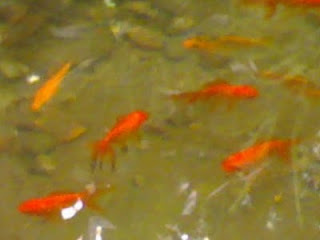 The place is enticing, but keep on moving, as cold sets in really fast. 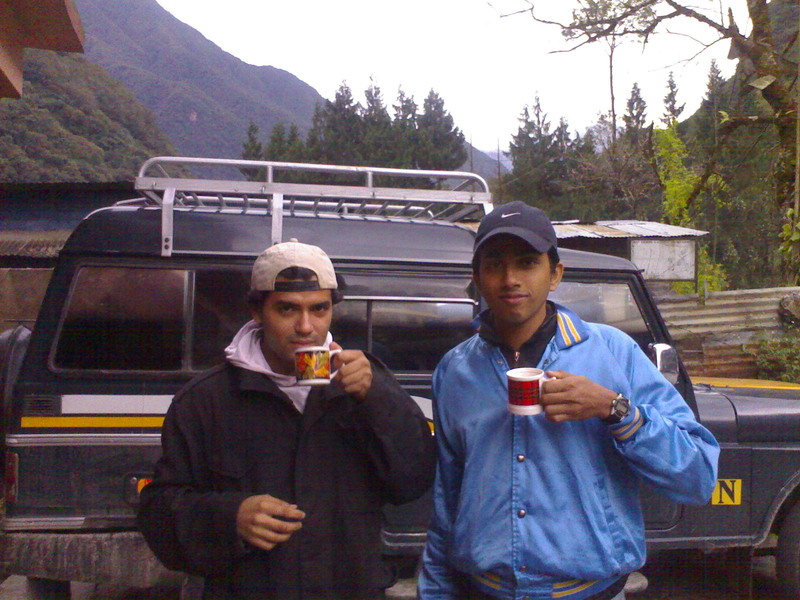 Cup of tea was never such refreshing as it was at 10,000 ft, 5:30 PM and with cold kissing our spines. 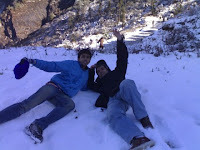 Finally we reached Lachung at 8,620 ft., our night stay. What a night that was, when we two vagabonds meandering in sub zero chilling temperatues whistling, singing and SHIVERING in the cold. We finally restrained when cold became unbearable. I had fish for the first time since nothing was available and I liked it. 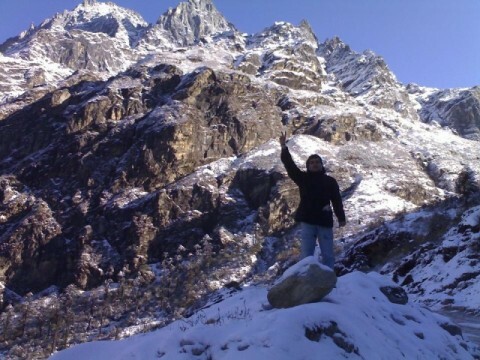 (Lachung provides the base for an exploration of Yumthang 11,800 ft). Snow cladded road, snow covered trees, and finally Katao with Snow everywhere. -12 deg Celsius without warm clothing, we were literally freezing, but our high spirits were still not ready to be dampened.Though it was chilling, but we were having the time of our lives. While on snow we were not feeling any cold. Vast stretch of our country and the site of China aroused patriotic spirits in our souls and what came out were the slogans of "Vande Matram". Crystal clear Teeshta river, snow cladded mountains on both sides, guzzling winds and Yaks running were ample proof of God's marvel creations. Why humans are destroying the mother nature? We were witnessing fury of Nature too, every time we tried removing our caps, chilling winds threatened to pierce off flesh from our bodies. 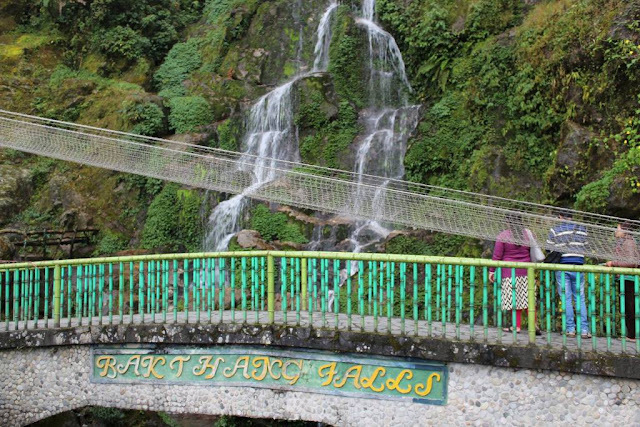 (Another hour's drive beyond Yumthang takes one to Yumesamdong (15,300 ft.), an area where the sweet fragrance of Azellia, a plant used as incense by locals permeates the air). 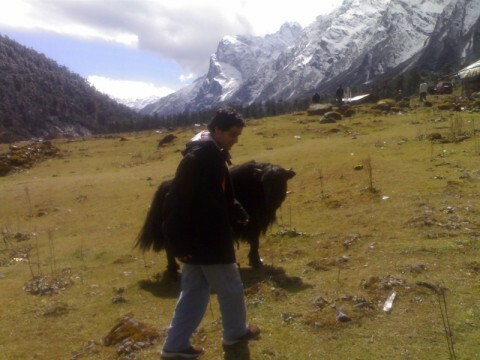 The surroundings, yaks had made us nostalgic and we have forgotten the count of time. But but but...all of sudden, our driver reminded us that we have to get back to Gangtok by today night and he seemed to us the villain, who was jealous of our good time. Nevertheless we started our descend. Return journey was as eventful, and we were witnessing some left out spots. 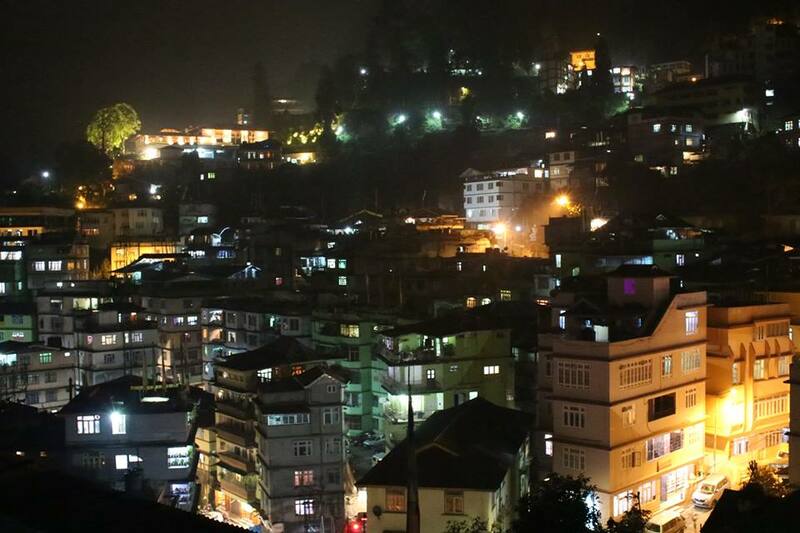 It was dark when we reached gangtok. We dumped our luggage in a hotel and again set out for exploring gangtok, first thing we had was Dinner, how much we ate even we don't remember. Rumtek Monastry: 24 km from the capital city of Gangtok. 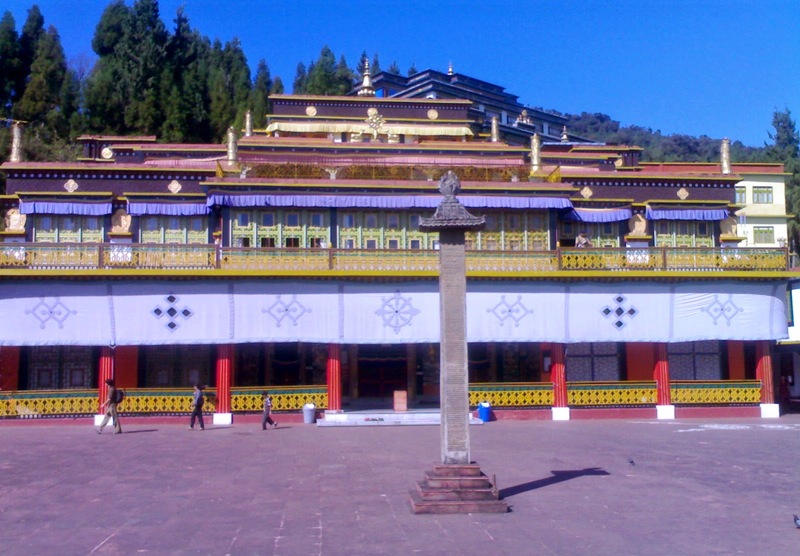 It serves as the seat of His holiness Gyawla Karmapa the XVI, the head of the Karma Kagyu order of Tibetan Buddhism. 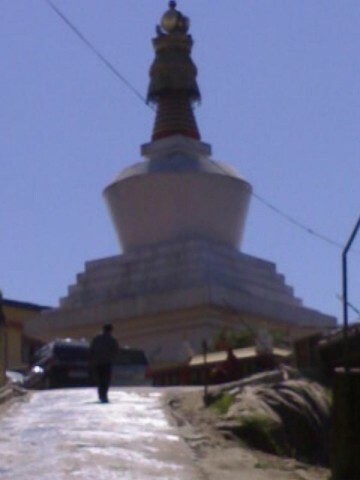 It was built by 16th Karmapa, in 1966. 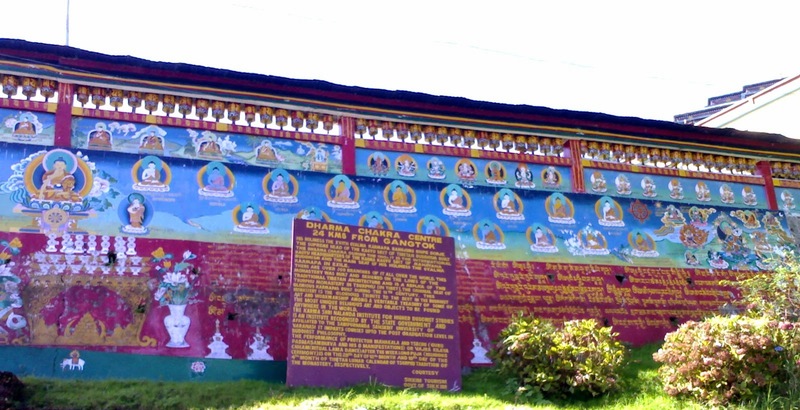 Rumtek Gompa (local address for monastery) of India is almost a replica of the original Kagyu headquarters in Tibet. Perched at a height of 5800 ft, it comprises of the main shrine-temple, the monastery, a retreat center, a monastic college (Shedra), a nun's hostel, some stupas, a protectors shrine and other establishments for the community, along with a number of other religious institutions. Every year, a dance festival is held here, on the 28th day and 29th day of the 10th month of the lunar calendar. Do Drul Chorten Stupa: The Do-Drul Chorten or Stupa was built by the venerable Truslshi Rimpoche, head of the Nyingma order of Tibetan Buddhism, in 1945. Inside this Stupa, there are complete Mandala sets of Dorjee Phurba around this Chorten, which is one of the most important Stupas in Sikkim, are 108 Mani-lhakor(prayer wheels). These prayer wheels are turned by the devout Buddhist while chanting "hail to the jewel in the lotus ", to invoke Buddhisattva. 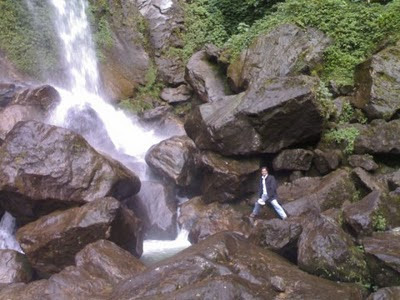 Bakthang Waterfall: While going towards North Sikkim towards Tashi View point this is a wonderful waterfall. One can enjoy snow covered Kanchenjunga snow peaks from this waterfall. Small ropeway to see the falls from above ground level and a cafeteria makes this a worth stopping point. Hanuman Tok Temple: Another feather in itinerary, this temple is located around 11 Km. 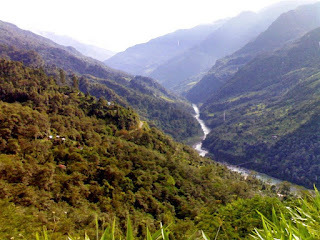 from Gangtok on a branc road from the Gangtok-Nathula highway. This is the place where Lord Hanuman took rest while ferrying Sanjivani herbs from Himalayas to Lanka to cure ailing Lord Lakshaman. 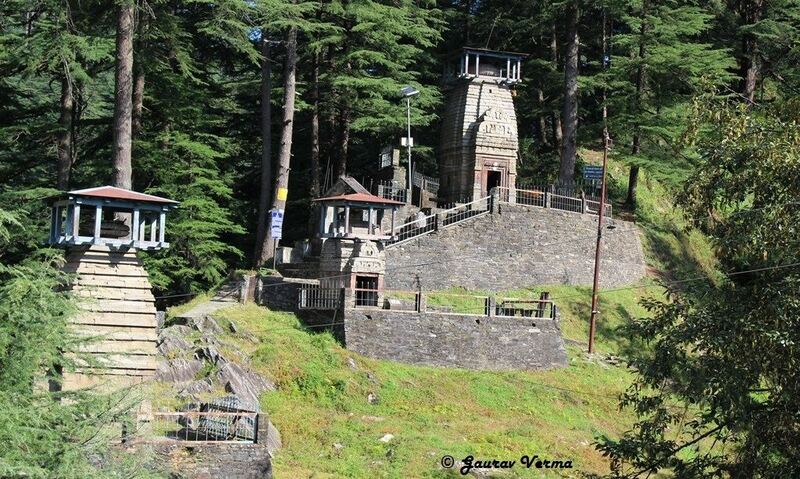 Temple is managed by Indian Army and has toilet facility for Ladies and Gents. 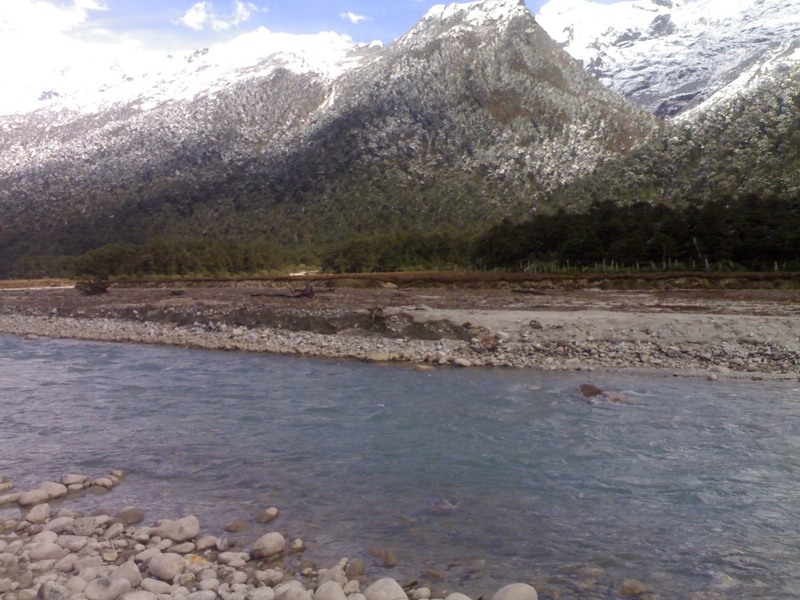 Changu Lake: Trip to Sikkim is not complete without Changu Lake, situated at an altitude of 12,400 ft it is 35 kms away from Sikkim on the Gangtok-Nathula highway which forms a part of the old trade route from India to China. The cool, placid water harmonises with the scenic beauty around which is doubled by its reflection in the lake. 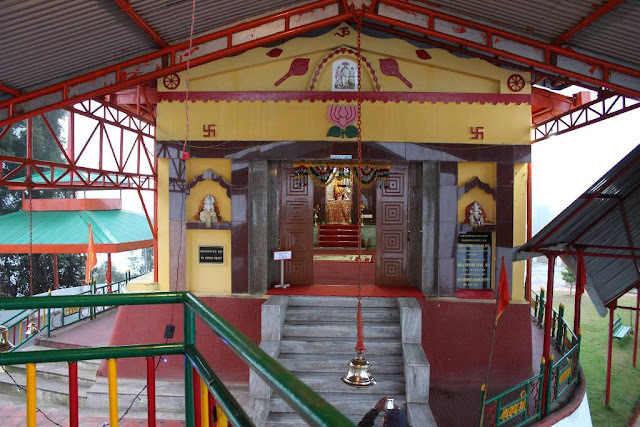 A small temple of Lord Siva is constructed in the lakeside. Primula flowers and other alpine vegetation around the lake, lend a pristine beauty to this place. a footpath along the lake takes one to a resting shed a walk of about half a kilometre during the winter months the lake becomes frozen. 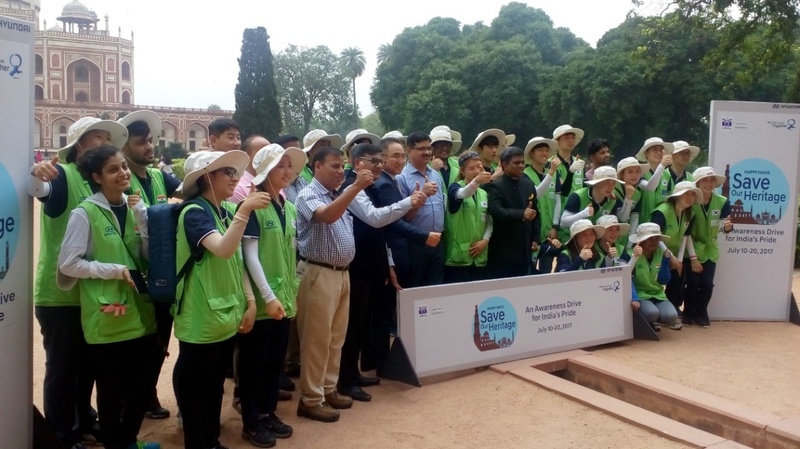 The visit could not have been completed without sharing a pic with the locales. They all made our trip memorable.